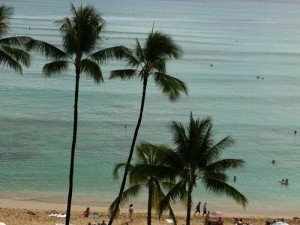 If you’re headed over to Hawaii with all the kahunas in your family, you definitely need a great place to stay that’s also around the best things to do. In Honolulu, there’s no shortage of hotels, but these attractions and places to stay are top rated amongst family travelers. So, Where Do Big and Little Kahunas Stay? 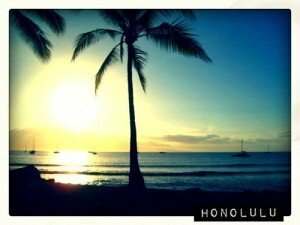 One of the favorite places of Hawaii visitors is the Hilton Hawaiian Village Waikiki Beach Resort. Located just near Diamond Head, the Hilton Hawaiian Village offers picturesque views of the amazing ocean, private beach and plenty of interior benefits as well, including a spa. Kids can go snorkeling, kayaking, surfing and families can go together on submarine tours from the hotel. Another great hotel for kids and families is the, Sheraton Waikiki. Older and younger kids love the Sheraton because its got one thing the other hotels simply don’t: a mega 60-feet water slide. That’s not all to enjoy about this charming resort on the water. With amazing views, large suites, gourmet restaurants and lots of beach activities, families rate the Sheraton as a top hotel in Honolulu. The Kahala Resort is a more laidback, family atmosphere located on the west side of the island. Within this tranquil beach setting, you still find lots of luxury, as well as a quieter experience to spend with your loved ones. The Kahala resort is known as a wedding destination in Honolulu because of its serene atmosphere, beautiful scenery, large banquet halls, gourmet chefs and large suites that come with a family connected room package. There are tons of things to do in Honolulu whether you love the arts or nightlife. For kids, the, Island Magic Catamaran, is a snorkeling cruise for adults and children right from Honolulu. The cruises last for 2 1/2 hours and take passengers to schools of tropical fish and colorful reefs. Looking for fun on the high seas? The “X-Treme Parasail” is a Honolulu high-speed boat ride on the “Honolulu Screamer” for two and four passengers. The twinjet powerboat with a 20 speaker sound system skips over waves and travels around the island with speeds of up to 40 mph. “Big Wave Dave Surf Company” is a surfing school located in Honolulu that is friendly with families and gives all kinds of lessons no matter what level of surfing you want to do. Their school is located right off Waikiki Beach. If you can name the cuisine, you can find it here in Honolulu. From sushi to burgers, family-friendly restaurants abound on the island. The Top of Waikiki is a slow spinning gourmet restaurant right over Waikiki beach that will keep kids entertained and providing amazing views while you eat some of the finest cuisine around. Don’t worry; they also have macaroni and cheese for the little ones. A source of familiarity is not lost on kids, and places like Dave & Buster’s have it all. With tons of video games and French fries, kids can have fun while also enjoying great views of the beach. At the Pacific Beach Hotel, you’ll find one of the most top rated family-friendly restaurants in Honolulu. The “Oceanarium” is an award-winning restaurant located right on the beach. This gourmet restaurant serves up crab legs, prime ribs, and fresh Island sashimi and offers views of 400 fish with over 70 different species. With over so many family options to choose from, Hawaii can accommodate whatever it is that you and the Kahunas are looking for! So, what are you waiting for? This has been a guest post by author Kendra Thornton. Kendra Thornton appears as a travel expert on television stations across the country to offer travel tips and deals to millions of people every year. She makes regular appearances on ABC, NBC and CW stations in major cities such as New York, Los Angeles and Chicago. She has also made special guest appearances on The Nate Show, Fine Living Network and The Tyra Banks Show. NextDesigner Canvas Growth Charts – For the kid in all of us!